There were no signs of life when the paramedics arrived. He is in PEA arrest and resuscitation attempts have continued on route to the hospital. 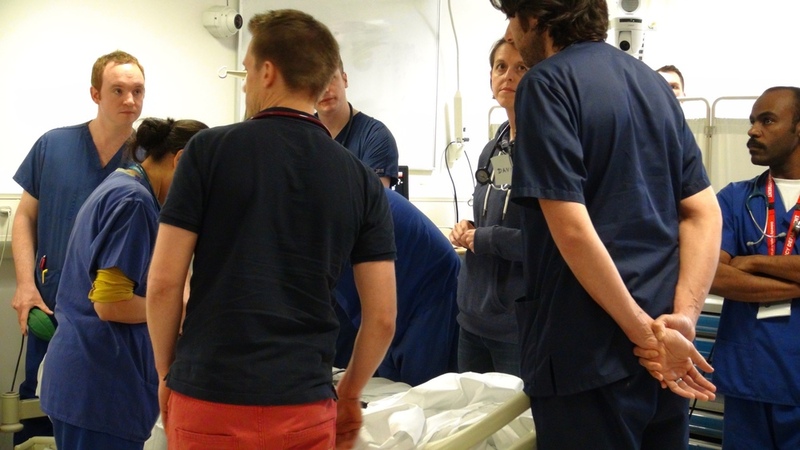 Often simulation scenarios are brought to a close at the decision to end resuscitation attempts. However, this takes away much of the reality – you never can appreciate the devastation until you have stopped. 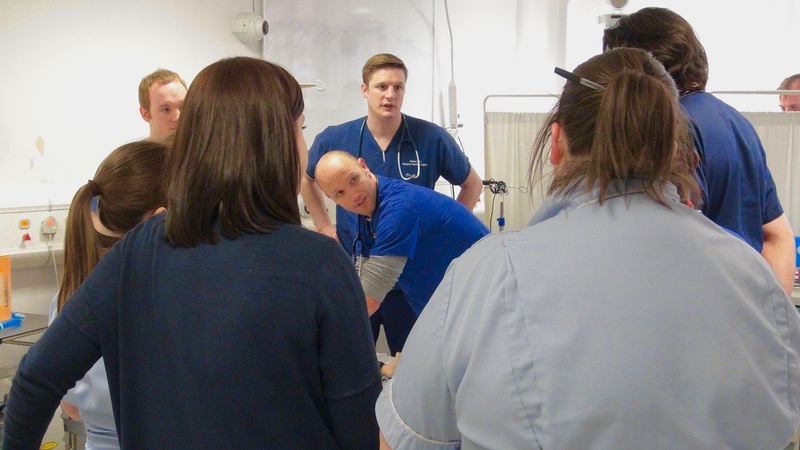 In our scenario, the team leader maintained a calm and collected team approach, allowing for assessment that there had been no response to resuscitation efforts in the context of a 1 hour down time which was clarified with the paramedic crew. As with aviation disasters, the collateral damage extends past those physically affected, to the emotional impact on the individuals families as well as the rescue teams. 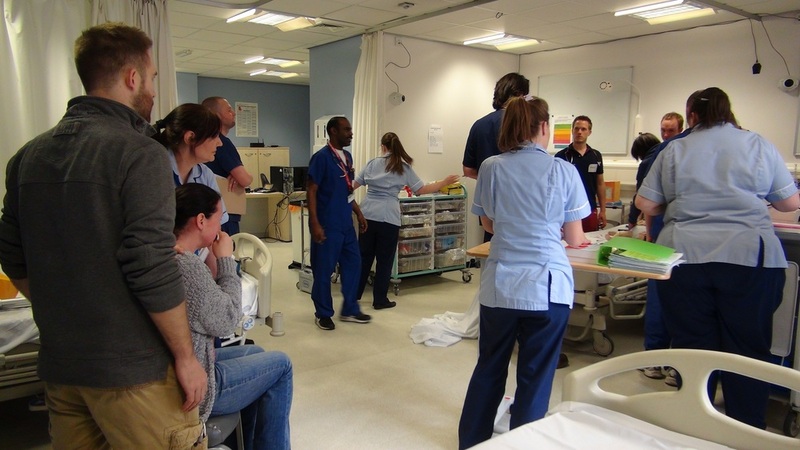 A member of the nursing staff sat with the parents throughout in the Resus room, talking them through what was happening and offering support. 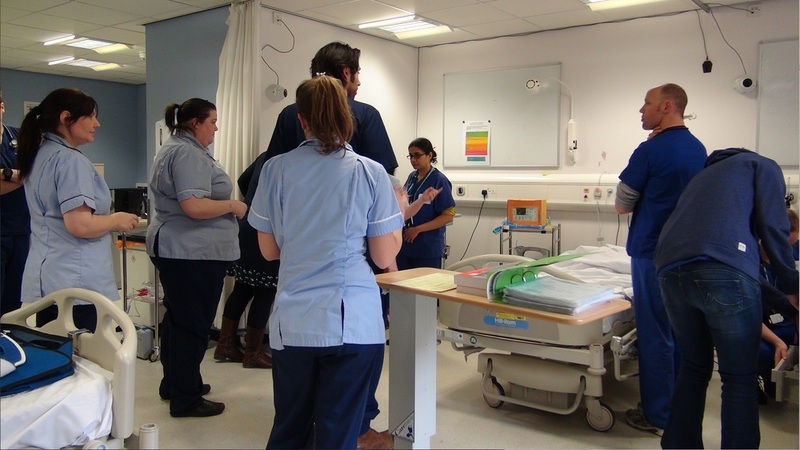 When the decision to stop the resuscitation was made, the team leader showed an empathetic and caring approach, getting down to the parents’ level and explaining that attempts to resuscitate the child had been unsuccessful. The team then dispersed quietly, leaving the parents with the child. We discussed the benefits of debriefing after arrests in the department, using a private space to discuss the case in detail with the MDT involved. Often the potential for a ‘second victim’ to emerge within your team many months later is underestimated, and highlights the importance of discussing events and the learning from them as well as acknowledging the emotional impact.